There’s no stopping small SUVs at the moment. This latest new model from VW will compete with models such as the Vauxhall Mokka X, Nissan Juke, Peugeot 2008 and Seat Arona. 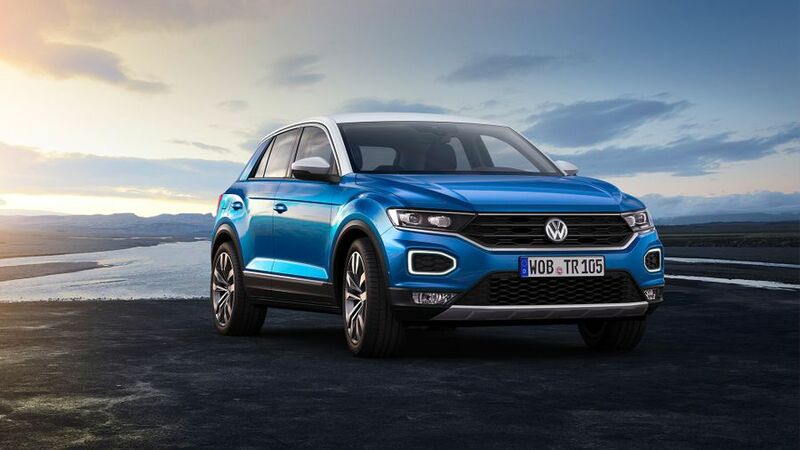 You may be struggling to keep up with the huge number of small SUVs coming to the UK market, but here’s another one for you, the Volkswagen T-Roc. 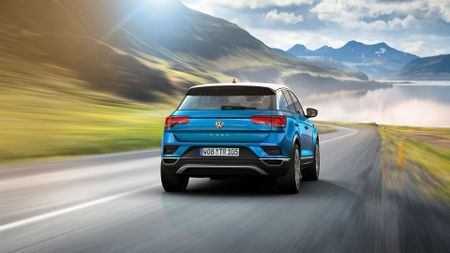 It’s a five-door, sporty-looking SUV that is smaller than Volkswagen’s Tiguan, but will be larger than a forthcoming new model based on the T-Cross Breeze concept shown at the Geneva Motor Show last year. The design takes plenty of cues from the Tiguan, too. And if you’re wondering where that name has come from, the ‘T’ is a nod to the bigger VW Tiguan and Tourag SUVs, with the ‘Roc’ from the English word, ‘rock’. Size wise, for comparison, the T-Roc is 31mm shorter than the VW Golf, with a 34mm shorter wheelbase, but it’s 20mm wider (excluding door mirrors), and 121mm taller. Like most of these small SUVs, there will be plenty of personalisation options, including bold exterior colours, contrasting roof and pillar colours, contrasting dashboard panels and various interior trims. 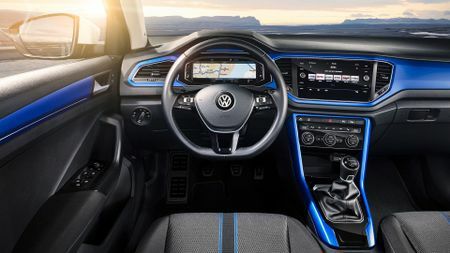 Inside, VW is offering a new generation of its Active Info Display (fully digital instruments) as an option, and a range of touch-screen infotainment systems up to 8.0-inches. A 6.5-inch touch-screen is standard. The 8.0-inch infotainment systems come with MirrorLink, Android Auto, and Apple CarPlay connectivity, and you can upgrade to a Beats premium sound-system. Below the climate control panel, there’s a smartphone storage box with two USB ports and optional wireless charging. Boot size is 445 litres with the seats up, and 1,290 when the seats – which split 60/40 – are down. And if you’ve got the relevant options picked, VW’s Driver Personalisation lets you save individual settings for more than 100 infotainment, convenience and assistance system parameters. The settings are activated by the driver’s personal key. Although not yet confirmed for the UK, there will be a choice of six engines from launch – three petrol and three diesel. Every engine is Euro 6 compliant. For petrol buyers there’s a 1.0-litre TSI with 115PS, a 1.5-litre TSI with 150PS, or a 2.0-litre TSI with 190PS. The 150PS petrol engine comes with Active Cylinder Management, which automatically deactivates two of the cylinders under light use to save fuel. The diesel engines are a 1.6-litre TDI with 115PS, a 2.0-litre TDI with 150PS, or a 2.0-litre TSI with 190PS. 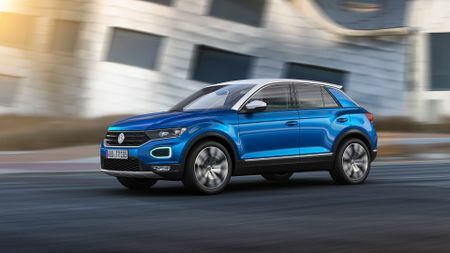 Depending on which engine you plump for, the T-Roc will be available with front- or all-wheel drive (the 190PS engines come with all-wheel drive and an automatic gearbox as standard). And it will be available with either a six-speed manual, or seven-speed automatic gearbox. 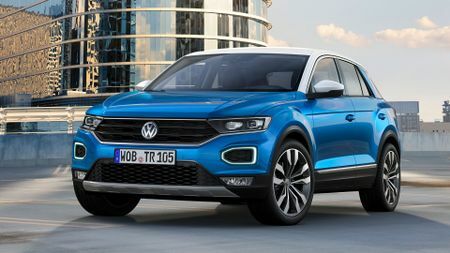 VW says it expects as many as eight out of ten T-Roc models sold in the UK to be petrol-powered, with 75% of sales to private buyers, rather than fleets. 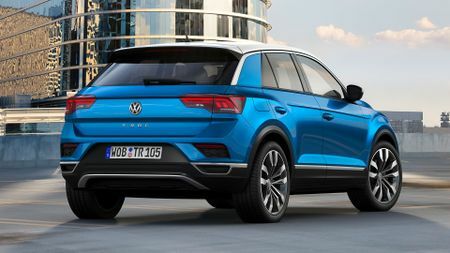 The T-Roc will be available with plenty of driver assistance systems, including Front Assist featuring Pedestrian Monitoring and City Emergency Braking; Blind Spot Detection; ACC Adaptive Cruise Control; Traffic Jam Assist; Emergency Assist; Lane Assist; and Park Assist. The new small SUV will be available with three trim levels: the base model, Style and Sport. The base model comes with Front Assist area monitoring with City Emergency Braking and Pedestrian Monitoring, Lane Assist, and Automatic Post-Collision braking system. On top of that, you get the chrome strip around the roof section between the front and back pillars, air-conditioning, 6.5-inch infotainment system, LED tail lights, and LED daytime running lights. It also comes with 16-inch wheels. LED headlights with ring-shaped LED daytime running lights with a turn signal function and fog lamps are optional. The higher-up Style and Sport trims have the same level of equipment, but different personalisation. 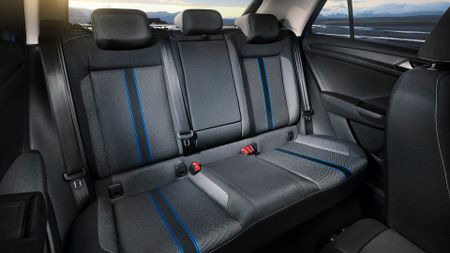 The Style comes with interior trim panels that can be ordered in one of four colours, while the Sport comes with sporty features including sport comfort seats. Both versions come with different bi-colour paint options. And both trims can be extended with an R-Line package, featuring body elements including R-Line bumpers and side sills. The T-Roc should be available to order from next month, and arriving in the UK in December 2017, with an estimated starting price of around £19,000.